When you’re focused on growing your business, it’s essential to not only identify the strategies that lead to your success, but to be able to reliably reproduce them. Tune in for the newest video in our Building Blocks – Focus on Growth series that’s all about Blueprinting Success! How much of your business is coming from that top 6%? How many of your clients used your services more than 11 times last year? How much your total business do these agents represent? In order to maximize your potential growth, you need to focus your efforts on your most valuable group of agents. Understanding your clients, their business, their challenges, and their needs will make it much easier for you to sell to them, and to those just like them. Understanding your valuable clients will help you build a profile of your ideal client that you can apply to other top producers you are not yet working with. Understanding your valuable clients will help you improve your entire operations. By doing this, you’ll learn how to make your business more efficient while improving your customer service. You’ll also be able to more accurately plan and forecast your sales. So here’s a tip to start understanding your valuable clients: Success feels good and when we’re successful we like people to recognize it and we like to share it. Look at our network of exceptional iGUIDE professionals. 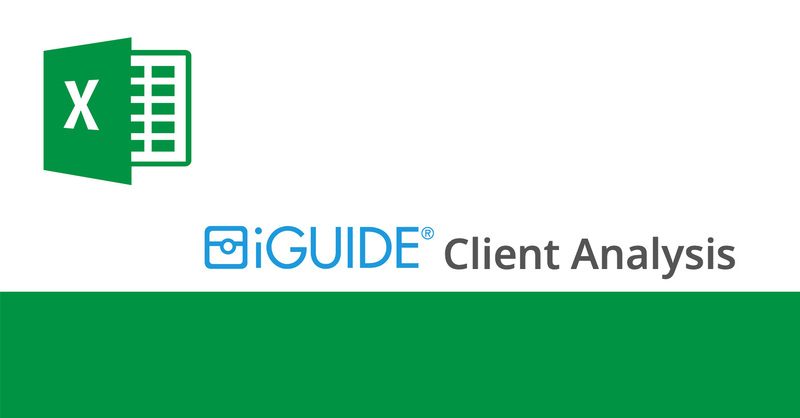 We have iGUIDE professionals who willingly share their experience and wisdom with other new iGUIDE Pro’s. Your most valuable clients are no different. They appreciate a sincere recognition of their success and, if graciously asked, should be more than willing to share some insights with you. Especially since these insights will help you to better serve them in the future. We like meeting at their office because it provides an opportunity to meet, thank, and talk with all the members of their staff. It’s important to have a relationship with the whole team. For your first few meetings with your top clients, prepare a list of questions you would like to ask them and explain that since you appreciate how valuable their time is, you want to be efficient and not waste it. Ad lib if you are comfortable. If not, go with the list. You want to get their thoughts on their business. Their thoughts on your business. How do they feel business went last year? What do they feel went better than expected? What do they feel did not go as well as expected? How do they think this year is going to be? What are their goals for this year? How do they plan on achieving these goals? What barriers are in the way of accomplishing these goals? These questions are about gaining insights so try and get expanded thoughts, not one word or short answers. Why did they give your team that first try? What brought them back for the second time? What keeps them coming back to you? When do they think of you during the transaction? Is it when they’re winning the listing? Is it when they start preparing the listing? Then how frequently do they use you? Do they use you on all their listings or only on the high end? If only certain properties, what’s preventing them from using you on more of their listings? What role do you fill in their business and are there any other roles they wish you could fill? Last if they could give you two suggestions for improving your business what would they be? When you’re done, thank them for their time and again, thank them for their support. Let them know you enjoyed and appreciated their insights and would like to do it again in the future. Important business etiquette tip: The next day, follow up again. Thank them and their team; letting them know that it was great to meet with them. This extra effort reinforces how much you value them and their willingness to make time for you in their schedules. Investing time in getting to know your valuable clients is good for your business today and tomorrow. The insights you get from this process will have a profound impact on your business. Your new understanding will make it easier to work with other top producers, improve your operations, efficiency and customer service and ultimately, will help you forecast your sales based on their activity. Did you miss the first video on our Focus on Growth Building Blocks series? That’s okay. Just follow this handy link to our Building Blocks videos to catch up. We’ve got more great tips and strategies coming, so be sure to check back for more soon!